Labour has unveiled its candidates to fight the 2014 European Elections in Yorkshire and the Humber. Two of them – Eleanor Tunnicliffe and Asghar Khan – are from Leeds. You can read more about all of them on our Page – European Elections 2014, under ‘About Us’. 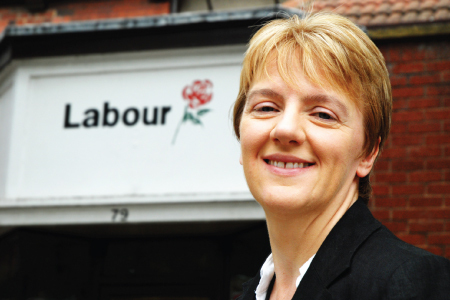 “I am delighted with the strong list of Labour candidates. They are a diverse group from all walks of life across Yorkshire and the Humber, and will be an asset in next year’s campaign to ensure everyone can make an informed decision about who really represents their best interests in Europe. Government gives EU funding for Yorkshire to Scotland. Linda joined with fellow Labour MEPs to vote for a package of measures that would tackle tax dodging, to stem the 850 billion pounds loss across Europe to public finances due to tax fraud and avoidance. According to HMRC figures, in the UK alone £9 billion is lost every year which could pay for the construction of more than 600 new schools or over 50 new hospitals or pay the annual salaries of over 330,000 police officers. The measures will include the creation of an EU wide black list of tax havens, and a ban on companies who are ‘dodging’ taxes from being awarded public contracts. Giotto and Verona Towers: Leeds Landmarks pass to the City – and the finance to maintain them. How many of us drawing into Leeds Station at the end of a long journey have seen the Giotto or Verona towers at the Globe Works in Holbeck and thought – home. So it’s great news that these landmarks are to pass to the City, in perpetuity.-along with the Engine House and Little Chimney, also … Continue reading Giotto and Verona Towers: Leeds Landmarks pass to the City – and the finance to maintain them.